The master plan for Mirvish+Gehry Toronto includes over 85,000 sq. ft. of multi-level retail opportunities in the heart of Toronto’s Arts and Entertainment District. These spaces offer unlimited potential for all kinds of businesses, from national retailers to international brands, specialty restaurants, fashion boutiques and furniture shops, all in a prime urban location. 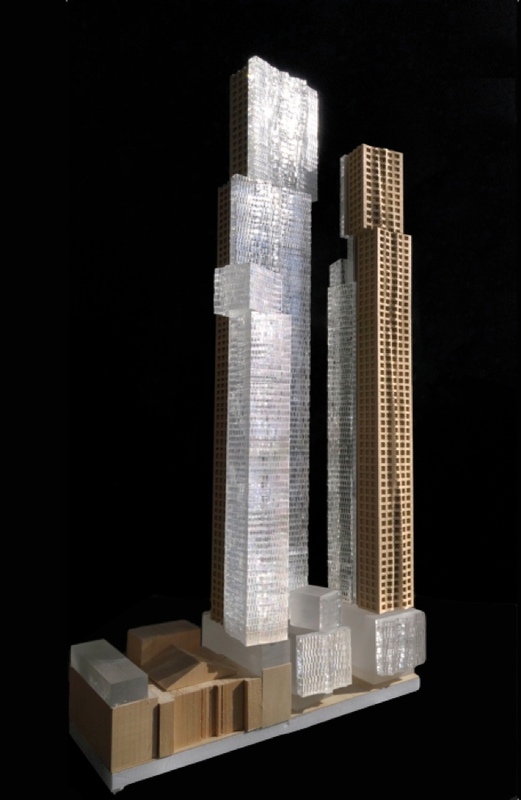 Mirvish+Gehry Toronto will include approximately 115,000 sq. ft. of office space, perfect for financial institutions, public and private sector enterprises, non-profits and other business organizations looking to open a corporate office in a premier downtown neighbourhood. With easy access to the King Street streetcar line and minutes to the St. Andrew and Union subway stations, the location is ideal for a variety of business needs. OCAD University has named its new 25,000-square-foot facility at Mirvish+Gehry Toronto, The Princess of Wales Centre for Visual Arts at OCAD University. The Centre will become an arts showcase and learning facility, featuring studios, seminar rooms, gallery facilities and a public theatre and lecture hall to promote and enable the making, study and exhibition of art. The inclusion of the OCAD University facility will be a significant cultural addition to Mirvish+Gehry Toronto. The new 9,000 sq. ft. Mirvish Collection will be a destination for viewing contemporary abstract art from the exemplary collection of Audrey and David Mirvish. The Mirvish Collection comprises works by leading artists including Jack Bush, Anthony Caro, Helen Frankenthaler, Morris Louis, Robert Motherwell, Kenneth Noland, Jules Olitski, Larry Poons, David Smith and Frank Stella. Register now to receive all the latest updates and be part of the Mirvish+Gehry Toronto community.